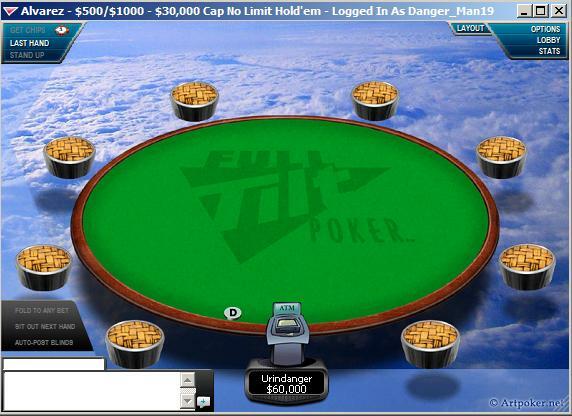 Heads up poker is a fascinating facet of No-Limit cash games. The swings can be much higher than traditional 6 max and heads up requires a different mindset. An entire stack can be lost or won in any given hand. Have you ever wondered what makes some players so successful at Heads up? Look at the image below. Top player Urindanger is by himself at the table with no action… this is actually quite common for him. *No one* ever plays Urindanger heads-up. Ever wonder what skills are needed in Heads Up to make it to the top like Ivey and Urindanger ? At Pokerfornia, we want you to you improve your heads up game and see what it takes to make it to the top. We are offering you a FREE ADVANCED GUIDE TO HEADS-UP POKER. This is comprehensive course covers pre-flop strategies, pot control, positional advantages, meta game considerations and many other techniques to give you an edge over your opponent. If your competition doesn’t understand or apply the techniques presented here, you very likely break them. m.
OK.. let’s get started. In heads-up poker you will be spending most of your time playing before the flop… so you need to get this part right. This is the poker strategy we recommend. Open a *very large* range of hands on the button. What is a large range you say ? Any PP, any Ace, any broadways, all Kx, and all suited hands. So a lot of hands really. We want you to be playing as many hands as possible on the button. This is because you have the positional advantage. If your opponent plays more hands than you in position, he will be getting the best of you. Always remember that position is power in heads up. Open small on the Button (2x) . This is a somewhat unconventional technique that Daniel Negreanu recommends. *Very* few players use the min raise pre-flop heads up online. Why ? By raising 2x on the button, you are encouraging your opponents to call you lighter out of position. Since the standard raise is 3x online, you will very often be called. Opponents will look you up with hands like 10 7 suited. They will be at a huge disadvantage when you have them dominated and the positional advantage. Some players also hate the min-raise. These guys will often call every one of your min raises OOP because they think they have pot odds. Play smart and conservative OOP. Lean towards calling with marginal hands instead of 3 betting like most online players do. Utilize pot control. This is a mistake even good players make. They will be OOP and 3 bet with 10 9 offuit. They get called. The flop comes Kxy and they do their usual c-bet. They get called again… At this point, they are in a world of hurt. They have commited a huge chunk of their chips with *no* equity in the pot. The only way they can win is by bluffing with 10 high. If they instead would have called and checked to the pre-flop raiser they would have gained more information. So this time, let’s say that you call pre-flop with 10 9. The flop comes Kxy again. You check now. Your opponent contination bets as expected. You call and elect to check the turn to re-evaluate. If your opponent checks, he was likely c-betting the flop and you can safely fire the river and get him off his hand. This entry was posted on Sunday, June 8th, 2008 at 4:28 am	and is filed under strategy. You can follow any responses to this entry through the RSS 2.0 feed. You can leave a response, or trackback from your own site.